President Barack Obama announced on Thursday that he will send 300 Green Beret Army special operations soldiers to Iraq. They will be detailed to Iraqi National Army Headquarters and brigade HQs and their primary task will apparently be intelligence-gathering and helping with the Iraqi National Army response to the advances of the Islamic State of Iraq and Syria (ISIS or ISIL). Likely the intelligence-gathering in turn is intended to allow the deployment in Iraq of American drones. At the moment, the US has no good intelligence on the basis of which to fly the drones. 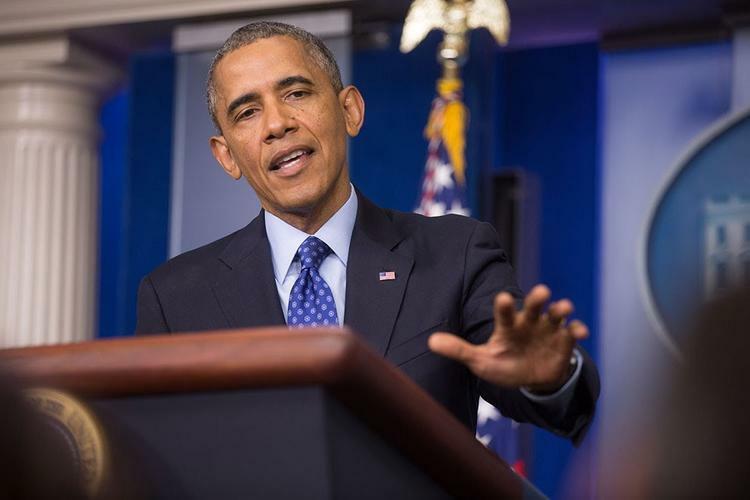 Obama underlined that no combat troops will be sent to Iraq. To the extent that Obama is likely paving the way to US drone strikes on ISIS in Iraq, he is mysteriously failing to take his own advice. He has already admitted that the Iraq crisis is political and not military, and said that there are no military solutions. The Sunni Iraqis of Mosul, Tikrit and other towns of the west and north of the country have risen up and thrown off the government and the army of Shiite Prime Minister Nouri al-Maliki. The uprising was coordinated with ISIS, but was made up of many groups and to some extent was the spontaneous act of townspeople. Droning some ISIS commanders to death isn’t going to change the situation in Mosul, a city of 2 million that is done out with the Maliki government. For Obama to associate himself with an attempt to crush this uprising in favor the the highly sectarian ruling Da’wa Party (Shiite ‘Call’ or ‘Mission’), which is allied with Iran is most unwise. If it had to be done, it should have been done as a covert operation and never spoken of publicly. Ominously, the administration is even talking about a sort of aerial hot pursuit, of droning ISIS in Syria. Obama is not old enough to remember the ways that ‘advisers’ in Vietnam turned into armies and hot pursuit into and bombing of Cambodia laid the ground for genocide. I am. Meanwhile, the ISIS takeover of Sunni Iraq provoked comment from key players in the Middle East. Saudi Foreign Minister Saud al-Faisal responded forcefully to al-Maliki’s charge that Saudi Arabia is behind ISIS and all the violence it is committing in Iraq, intimating that the real problem is the sectarian way al-Maliki is governing the country. (That is rich, given that few countries in the world are governed in a more sectarian way than Saudi Arabia). Iraqi Foreign Minister Hoshyar Zebari criticized Saudi Arabia for not issuing a condemnation of the massacres committed by ISIS. Turkish PM Tayyip Erdogan warned against US air strikes that would kill large numbers of innocents. Muslim televangelist Yusuf al-Qaradawi of the Muslim Brotherhood, based in Qatar, defended the revolt of the Sunnis of northern and western Iraq. Usually al-Qaradawi condemns al-Qaeda. Iraqi Sunni speaker of the parliament, Usama Nujayfi, said that the aid being received by the Iraqi army should not be turned into a political football. Likely that aid will eventually include drones. Obama says he believes the drone program produces few civilian casualties, but in Pakistan they appear to be 15% or so of deaths. Pictures in the Iraqi press of women and children droned to death are a propaganda bonanza for al-Qaeda. In the end, of course, Obama is doing very little about a situation regarding which very little can, practically speaking, be done. And as Will Rogers would have said, that is what the American people elected him to do.